FLINT, Michigan, February 1, 2016 (ENS) – The U.S. Environmental Protection Agency’s regional administrator responsible for the City of Flint has resigned, effective today, over her handling of the crisis caused by lead contamination in the city’s drinking water. “EPA Region 5 Administrator Susan Hedman has offered her resignation effective February 1, and EPA Administrator Gina McCarthy has accepted given Susan’s strong interest in ensuring that EPA Region 5’s focus remains solely on the restoration of Flint’s drinking water,” the EPA said in a statement. In June 2015, then-Flint Mayor Dayne Walling wrote Hedman regarding the issue of lead in Flint’s drinking water. Her response offered no information. “The preliminary draft report should not have been released outside the agency. 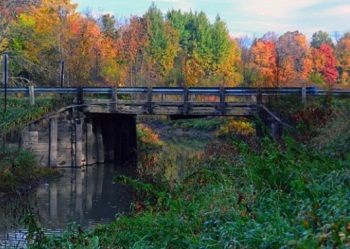 When the report has been revised and fully vetted by EPA management, the findings and recommendations will be shared with the City and MDEQ [Michigan Department of Environmental Quality] – and MDEQ will be responsible for following up with the City,” Hedman wrote. On December 29, the head of the Michigan Department of Environmental Quality resigned over the drinking water crisis in Flint. Director Dan Wyant resigned after a number of reports pointed to mistakes the department made that resulted in elevated lead levels in the city’s water. Several other MDEQ officials also have lost their jobs over the contamination, which is costing millions of dollars to address. Flint’s water crisis began early in 2014 after the city stopped purchasing water from the Detroit Water and Sewerage Department as a cost-saving measure. Instead, Flint began to draw water directly from the Flint River, polluted with industrial discharges for decades. Water officials did not use corrosion controls, causing lead in Flint’s old pipes to leach into the water. Now, Flint residents are drinking, bathing and cooking with bottled water. Lead-removal filters are being distributed in Flint by the state of Michigan to remove lead from household water and make it safe for people to drink. U.S. 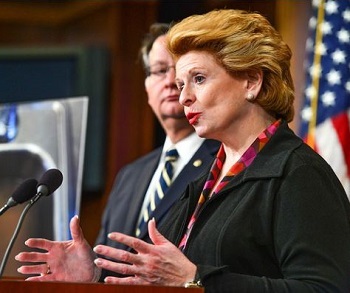 Senators Debbie Stabenow and Gary Peters, and Congressman Dan Kildee, all Michigan Democrats, Thursday announced new legislation to help Flint families. The legislation provides up to $400 million in new federal emergency funding to the EPA to help replace or fix the City of Flint’s water supply infrastructure. It establishes and funds a $200 million Center of Excellence on Lead Exposure to focus on the immediate and long-term needs of children and adults exposed to lead. It requires the EPA to warn the public of high lead levels in drinking water if a state fails to do so. Finally, it gives the State of Michigan new flexibility to use funding to help forgive water infrastructure loans. The legislation will be introduced as an amendment to the Energy Policy and Modernization Act before the Senate. The State of Michigan has the primary responsibility to fix this crisis because state officials made a number of irresponsible decisions that caused it, the federal lawmakers said Thursday. On January 16, President Barack Obama signed an emergency declaration ordering federal assistance in the amount of $5 million to support state and local response efforts in Flint. EPA is closely monitoring progress by the state of Michigan, the MDEQ, and the city of Flint to meet their obligations required by the Safe Drinking Water Act emergency order that EPA issued on January 21. The agency ordered the city and state to hand over water testing results and information about lead service lines and to create a public website with all water information posted on it. The federal agency is also taking over water testing in Flint. EPA is encouraging residents to have their water tested to be sure the lead levels are below 150 parts per billion. Flint residents can have their water tested for free by calling the City of Flint Water Plant at 810-787-6537, then pressing 1. Flint residents may also email flintwater@cityofflint.com. While water safety experts remain confident in the ability of the filters to remove the lead, vulnerable populations, especially pregnant women and children under six years old, are advised to drink only bottled water until they get results showing that their water is below 150 parts per billion. EPA has begun sampling drinking water in households with known lead levels of 100 parts per billion or higher, in order to test the effectiveness of these filters at removing lead at high concentrations. The goal of this sampling effort is to determine how well the certified filters perform at removing lead from household drinking water. Samples will be sent to an EPA laboratory for analysis. The quality-assured results of the samples collected by EPA will be shared with individual homeowners and the results will be posted on EPA’s website without any personal information about the residents. On Thursday, EPA officials met with representatives from the state, MDEQ and city to discuss compliance with the order, including actions to make sure all data is publicly available and progress related to operational improvements. This initial meeting was productive and EPA anticipates providing regular updates related to the order. A group of activist organizations filed a complaint in federal court Wednesday against Michigan government officials alleging the state has violated the federal Safe Drinking Water Act and failed to ensure there is safe drinking water for the public. The lawsuit, brought by the Concerned Pastors for Social Action, the American Civil Liberties Union of Michigan, the Natural Resources Defense Council, and Flint resident Melissa Mays, was filed in the U.S. District Court in Detroit. It asks a federal judge to order the defendants replace all lead pipes in Flint at no cost to water users. Governor Rick Snyder, a Republican, has been dogged by protesters seeking his removal from office because they say he and state environmental officials knew about the lead-contamination in Flint’s water for many months but did nothing to fix the problem while children were being poisoned. Exposure to lead affects childrens’ development and behavior, according to the Centers for Disease Control and Prevention. Even when exposed to small amounts of lead, children may appear inattentive, hyperactive and irritable. Children with greater lead levels may also have problems with learning and reading, delayed growth and hearing loss. At high levels, lead can cause permanent brain damage and even death. On Friday, Governor Snyder signed legislation releasing $28 million to immediately help families in Flint with lead testing, water treatment and other emergency services. The funding was part of a multi-point relief package the governor outlined last week during his state of the state address to the Michigan Legislature. Speaking before the editors and publishers of the Michigan Press Association, the governor renewed his call for additional federal funding and assistance. To date, the federal government has only earmarked $5 million in assistance for Flint. “This was a failure of government at every level – federal, state and local. I have apologized for the state’s portion of this failure, accepted the resignation of top DEQ officials and suspended two pending a civil service investigation. 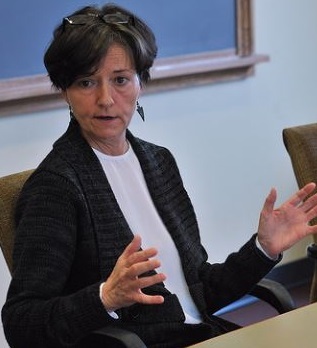 I pledged to be accountable and those are not idle words – they are being put into action every day,” Snyder said. This is the second emergency supplemental funding bill allocated to assist the city of Flint this fiscal year. A previous $9.3 million package was approved in October 2015 to reconnect Flint to the Detroit Water and Sewerage Department, provide filters and water testing to residents, aid in follow-up health services for children and assist with plumbing inspections at schools and health facilities. 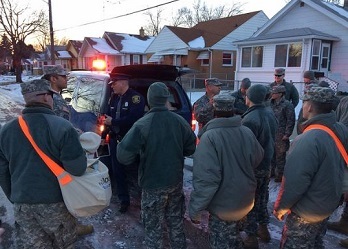 • Provide operational funding for the Flint Interagency Advisory Committee. Snyder will propose a long-term funding solution to address the ongoing needs of Flint in his February 10 formal budget recommendation. Snyder was in Flint for three days last week, meeting with Mayor Karen Weaver, holding a roundtable with local pastors and also convening the first meeting of the Flint Water Interagency Coordinating Committee, which brings together community leaders and independent experts. Because Flint residents are predominantly African-American, the governor also met with the Rev. Jesse Jackson, NAACP President Cornell William Brooks. The U.S. Department of Health and Human Services has been designated the lead federal agency responsible for coordinating federal government response and recovery efforts. In collaboration with the Federal Emergency Management Agency, HHS will identify and mobilize the capabilities of the rest of the federal partners, including the Small Business Administration, the EPA, and the departments of Housing and Urban Development, Education and Agriculture, that are working to help residents in Flint. EPA information is available at www.epa.gov/flint.